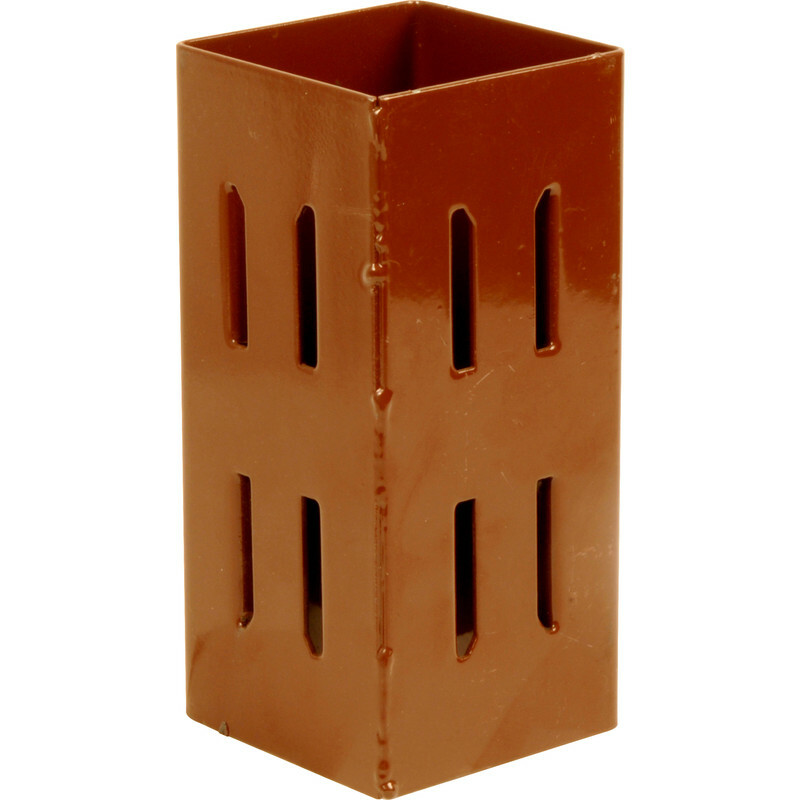 Single piece welded box section that enables extension of timber posts. Post Extender 100 x 100mm is rated 4.8 out of 5 by 15. Rated 5 out of 5 by Mike271 from Easy to install Bought weeks ago and took a few days to arrive but did the job well. Hammered home with a plank of wood over the top to prevent damage. 5 mins and had a higher fence! Rated 5 out of 5 by ScotDIY from Does the job. Seems solidly made, is square and seems well painted. Time will tell. Rated 5 out of 5 by DickC from Perfect for intended function I bought these to raise the height of my garden fence. Well made and simple to use. Pleasing result and very strong. Rated 5 out of 5 by The Legend 55 from Has done the job Happy to use this product. It meets my needs exactly. Rated 5 out of 5 by Sutty from Exactly what it says on the tin Excellent, strong, robust and does its job. Rated 5 out of 5 by Johnta from Excellent fence post extender I bought 3 of the post extenders and they are just the thing to get the job done. Easy to fit with a help from my heavy rubber hammer. Posts sturdy and well pleased with the result.